Do you dream of building your own eco-home someday? Are you excited about building with straw bales, earthen plaster, lime plaster, and other natural materials? 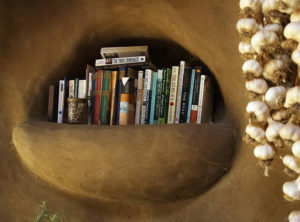 sustainable homes out of clay, sand, and straw? If you answered yes to any of the above questions, we’d love to have you join us for our next natural building workshop! Dancing Rabbit Ecovillage is a natural builders’ paradise! 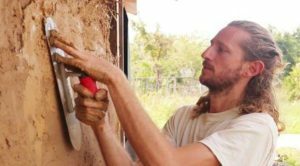 Experienced builder Hassan Hall, one of Dancing Rabbit’s leading natural building artists, will lead this hands-on workshop focusing on techniques for creatively building straw bales, earthen plaster, and lime plaster. During the workshop you’ll build two kinds of straw bale walls, and apply both lime and clay-based plasters. You’ll work with base coats, rough plasters, and finish plasters. You’ll also make clay and lime-base paints, and do a mosaic art installation. You’ll take away natural building knowledge and experience that can be applied anywhere, including an existing home. All of this, set in an ecovillage committed to learning, living, and sharing ways to live more lightly on the earth! Also in this workshop, you’ll help create artful, affordable, and environmentally-sustainable shelter. You’ll take a tour of naturally-built homes at Dancing Rabbit, and learn what you need to consider when building or retrofitting your own sustainable home. You’ll see how earthen walls fit into the context of foundation, frame, and roof, and how to select appropriate materials for exterior and interior walls. exercise, laughter, and a dozen new friends! If you want to have fun while getting messy, making new friends, and learning how to create sustainable, non-industrial, low-impact buildings, we invite you to register now, since this workshop is likely to sell out quickly. You’ll come away knowing how you can contribute to a healthier world with your new natural building skills. This workshop is now FULL for 2018! To get on the waiting list for 2019 Natural Building Workshop, sign up here! Dancing Rabbit Ecovillage, in northeastern Missouri, is home to some of the most excellent examples of sustainable building and eco-living in the country. 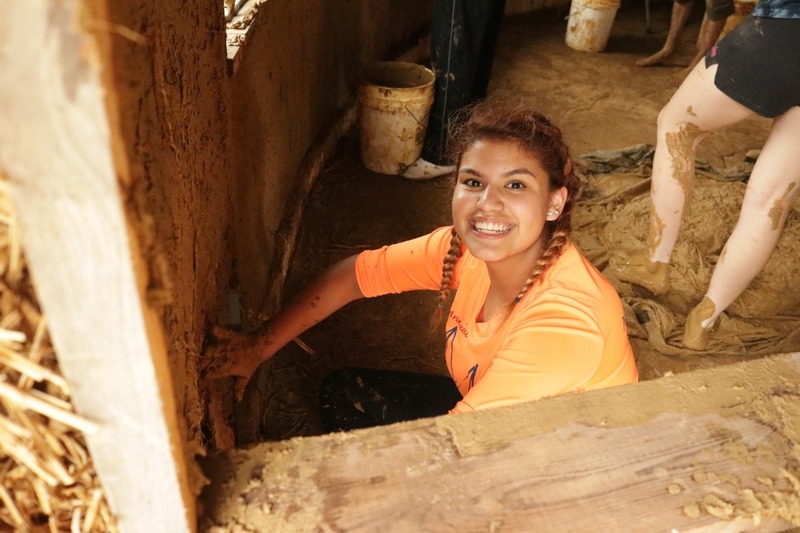 Although course days are packed full, there will be opportunities to learn about Dancing Rabbit, connect with villagers, and participate in village activities. Please check out the rest of our website to learn more about our ecovillage. The workshop will be held in two of the natural buildings at Dancing Rabbit. The hands-on segments will take place at Sharon’s home, Robinia, a hand-built timber-framed, earth-sheltered straw bale home with a gardenable roof. Designed as part of a permaculture homestead, Robinia includes examples of straw bale and earthbag walls, as well as light clay straw, wattle-and-daub, and cordwood techniques. Classroom segments will be held at Hassan’s latest project site: a beautifully-designed round home with straw bale walls and a reciprocal roof. Find out more about this building on Hassan’s website. Arrive Thursday afternoon, depart Sunday afternoon. Meals provided from Thursday dinner through Sunday lunch. Hassan Hall, lead instructor, has built three natural buildings at Dancing Rabbit since 2012, added artful and eccentric frills to many others, and taught at every opportunity. With an ideal to inspire and empower, he shares with students his passion for, knowledge of, and experience in artful natural building. Sharon Bagatell, assistant instructor, has extensive experience in education and permaculture, and brought these skills to bear when she helped build Robinia, her beautiful natural home at Dancing Rabbit. She is also a certified permaculture teacher, and currently coordinates educational programs for the Center for Sustainable and Cooperative Culture at Dancing Rabbit Ecovillage. The course fee includes 3 meals a day, packed with as much nourishing, local food as possible. We can work with a range of dietary needs – let us know your particulars when you fill out the registration form. Please note that we do our best to accommodate different dietary needs but cannot guarantee that we will be able to. "Working with Hassan was an all-around exceptionally positive experience. His knowledge about natural building and patience with guiding me through new techniques were a huge asset to my experience. But more than that; Hassan is a skilled problem-solver. Natural building is often less structured and by-the-book than conventional building, which can leave room for uncertainties and potential mistakes. Hassan has the experience to guide you through any questions and help problem-solve any concerns you may have on building plans of your own. Living at Dancing Rabbit Eco-village has given Hassan the unique opportunity to create multiple beautiful and one of a kind buildings in very close proximity to one another. By partaking in a workshop with Hassan you get the opportunity to experience not just one building but several. I can't think of a better place to experience natural building than at Dancing Rabbit with Hassan!"